Crowdfunding has been instrumental in allowing entrepreneurs and innovators to access financing for their speculative projects. Kickstarter, Indiegogo, and other crowdfunding platforms enable regular individuals to contribute small amounts of money, which really adds up when thousands of people pitch in together to make a project happen. This innovation in raising capital around the world has recently had a big impact on solar power technology initiatives. With global society turning away from ecologically unfriendly types of power sources like coal and oil and away from traditional energy providers toward renewable sources of power, there are plenty of investments to make. Unlike the vast, expensive infrastructure required for old-fashioned electricity generation, however, most solar installations, devices, and inventions are limited in scope and don’t require much regulatory oversight. This makes them ideal for crowdfunding, which allows the principals behind these endeavors to avoid the hassles and drawbacks of obtaining financing from venture capitalists, banks, and other traditional means. Crowdfunding has already made a difference in the success of solar projects. SolarPuff, “the little lantern with a huge impact,” has raised more than $450,000 from more than 6,500 investors in a successful Kickstarter campaign. The lantern charges up using the sun’s rays and can be folded flat to conserve space. It only weighs 2.5 ounces and can be stored for up to three years without battery damage. Unlike many solar products, it can produce light for a duration of time equal to or greater than the time spent charging it up. The SolarPuff is great for people around the world who lack access to reliable electricity, including hikers and other outdoors enthusiasts, disaster relief workers, and those in rural areas of developing countries. Bill Nye’s LightSail spacecraft is a more ambitious effort. Although the project attracted more than $4 million from private investment groups, it also received $1.24 million in a Kickstarter campaign backed by more than 20,000 individuals. The LightSail uses solar sails to capture energy from the sun and propel itself through space. It has already had a test flight, which enjoyed moderate success and showed that this means of powering a spacefaring craft is both realistic and viable. More work will be done on the LightSail in preparation for another flight in 2016. Even if only a few dozen investors show interest in a product, it can still flourish. The My Terrace Farmer solar greenhouse received money from fewer than 100 participants on Kickstarter, but this was enough for it to meet its $20,000 target. 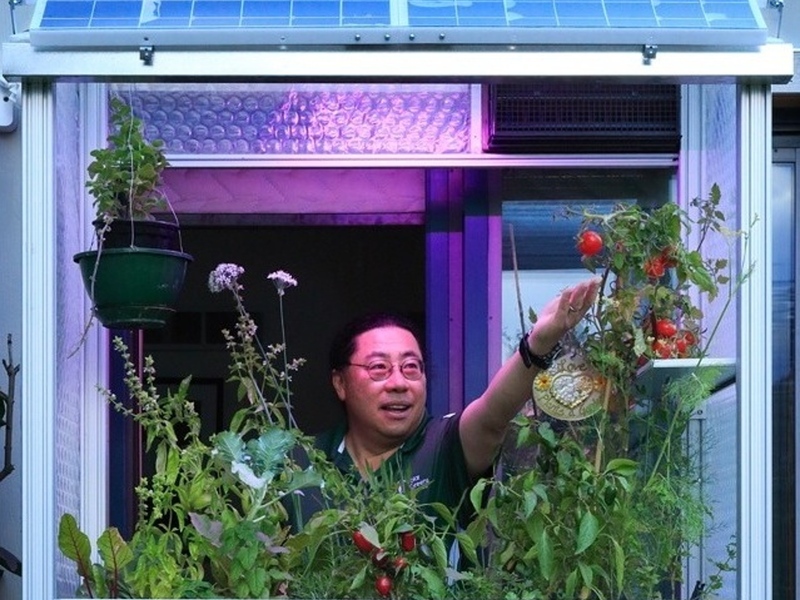 This self-watering, self-fertilizing, miniature greenhouse allows people to grow food and herbs in their own homes – they can even control its operations from their smartphones. The success of solar projects on all-purpose crowdfunding sites has led to the creation of sites dedicated solely to funding solar and other renewable energy. Mosaic and Crowdsun solicit funds for the installation of solar equipment and return interest to investors, paid for by the cost reductions in electricity enabled by efficient solar panels. SunFunder works in developing markets to enable loans for local solar installations. Crowdfunding is particularly important for poorer countries, which typically do not have the sophisticated financial infrastructure needed to properly finance solar development and installation. By looking at a map of worldwide solar irradiation, it’s easy to see that some of the parts of the world with the most sunlight hitting them, like Africa and South Asia, and who would benefit most from solar power, are also some of the least economically developed. This is a potentially valuable resource going to waste unless or until the proper equipment is set up to harness it. Small investors in richer countries will benefit by getting a chance to choose how they invest their hard-earned money even if it’s as little as $5 or $10. Because crowdfunding platforms deal with sums of money that are beneath the notice of investment funds and banks, they can tap into investors who had no useful role to play under the old model of startup funding – these investors involved through crowdfunding are the consumers, and the consumers are the investors with motives extending beyond financial gain. Many small or risky enterprises can be trialed to find out if they’re feasible before requiring more substantial rounds of money-raising. Niche products and out-of-left-field ideas will get to have their day in the sun, and some of them may produce results that we can only dream about today.